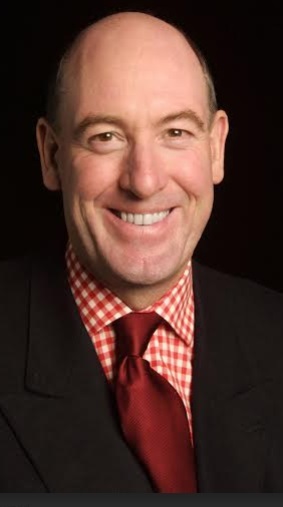 Miles Young is the Worldwide Chairman and Chief Executive Officer of Ogilvy & Mather. He was educated at Bedford School and New College, Oxford. His career in advertising has spanned Lintas, Allen Brady & Marsh and Ogilvy & Mather, which he joined in 1983. 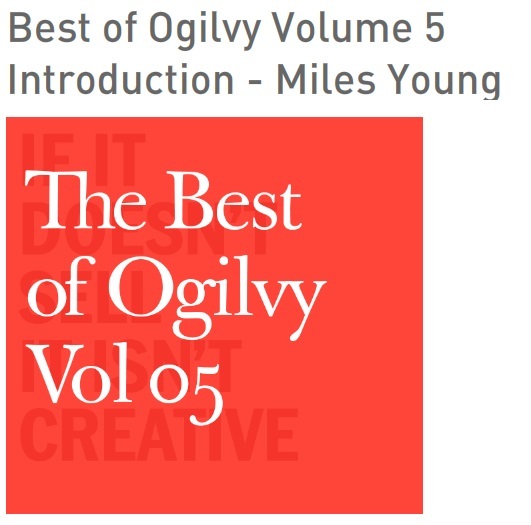 Miles was appointed to the Board of Ogilvy & Mather Advertising in London in 1986 and Client Services Director in 1988. In February 1990, he became Managing Director of Ogilvy & Mather Direct in London. He was a Regional Director of Ogilvy & Mather Direct Europe from 1990 to 1995. Rather by accident, actually I was a student at Oxford and I reached a critical point of looking for jobs and didn’t have a clue as to what I wanted to do and then I went through the process of ruling out the normal jobs everyone wanted to do - accounting, law, etc, - not feeling that they were interesting. So, people kind of despaired of me. The careers advisory office asked of me whether I tried advertising - I said “What’s advertising?” and they said they would send me off to an interview for a predecessor of Lowe, which used to be called Lintas It was a fairly aggressive interview which involved 20 final candidates all being put into a room having to debate an issue in front of an audience - may the best man win - I got through and was offered the job and thought “what the heck” I might as well try it. And, I liked the atmosphere of the building and it felt creative. So, that’s how I got into advertising. The first week I realized it was absolutely the right job because I like people and I like creative work, creative culture. And, I plunged into the business at the very bottom. So it was exciting and I kind of thrived on it. That’s the story. Tell us about Ogilvy & Mather? What inspired the idea and what is your vision for the company as CEO? 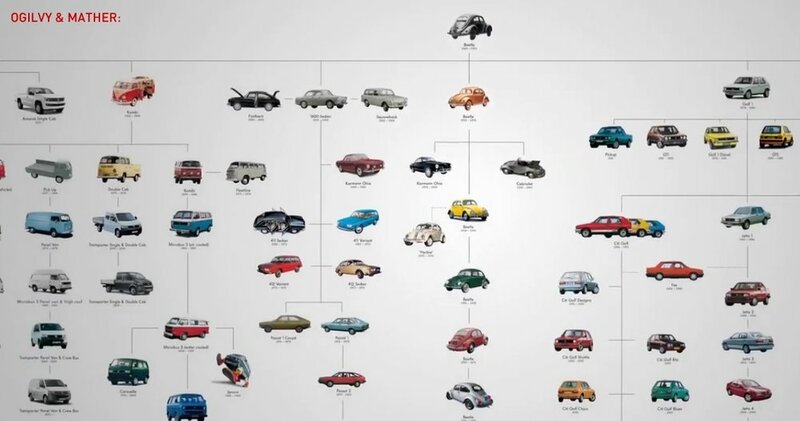 David Ogilvy’s idea was to create advertising that is very effective and creative. He was a copywriter so he was born and bred in the world of creativity and he knew how to make words really count and he created work which broke through, but he was also a researcher. He trained under Dr. Gallup and worked with him and he understood how to make things work. If you aim for the most creative and effective work you have karma. We call them our Twin Peaks. The idea of Ogilvy is those two things: But, the important thing is to do both together. If you go too much for one or too much for the other, it doesn’t tend to work so well. Our positioning is that it is essential to do both. And, that is always demanding and difficult. So it is a tough road you set for yourself. In the end, it is a better road to take. The vision is to dominate and be recognized as the most effective and creative. But I think beyond that to be very thoughtful how to go about doing that. We need to get under the skin of our clients and discover some inner greatness as clients that we can express and can enact some unifying platform for them. So, we are looking for really big ideas which turn into big platforms, which turn into big business advantages for the clients in the most general sense. Not one small campaign after another. What strategic partnerships have you entered into that have contributed to Ogilvy & Mather’s success recently? That’s a tricky one to single out. I think the answer, to be honest, is many, many, many. I really believe that in today’s world you can’t exist in a self-contained silo. That collaboration is king. So, we have a range of partnerships. For instance, if we develop e-commerce solutions for clients, we partner with 4 or 5 different specialists, so we can act as a catalyst, like conducting an orchestra. We can’t do everything, nor do we want to do everything. So, the answer is there are too many to name. I passionately believe in being open to partnering. The more we partner with people, the better we are. I think that the big trend is probably post digital. Let’s assume that it’s rather ridiculous now to go on using this word digital, everything is digital. The question is - has the world adapted to that reality and are organizations digitally literate? And, what is the work we develop? In our business, we are seeing a shift from old forms of communication which were very neat and packaged to a world where we are constantly producing content in as broad a sense of the word possible, which includes some of the work you do. So we start to be in the same sort of business. We employ now journalists, curators, editors because the content we are developing is the content which is in the digital world but is searched for by customers. In other words, eco-systems of content. Now, that’s very different from the old world from just producing an ad to adapting to a digital website - it’s a different kind of mindset. I think that’s the way in which we see things differently now. What’s your personal life motto? Fortunately in one branch in my family I have a very pompous motto which is “diligentia” which is Latin for diligence. Hard work is a truism but, at the end of the day, if you work hard you tend to do better. And, that covers things like preparing yourself well and making sure you know your stuff. It translates well to personal life because you need to be diligent in looking after that and lack of diligence in finding a balance in everything in life makes you less effective in the workplace. David Ogilvy’s motto was “We sell, or else” and that still remains, or we would be out of business. Your greatest success as CEO of Ogilvy? Your most difficult moment - what did you learn and how did you overcome? Starting with the difficult moment, I think it was coming here from Asia. After almost 15 years there you get used to a world which is growing very fast and is somehow more flexible and then coming here is a big shock to the system. I think that I had to adapt and the agency had to adapt as well. I’m the global head and the headquarters are North American in their mindset but I'm trying to bring in a global mindset and a global attitude. It was not necessarily so easy the first year. You overcome by listening. By recognizing that there are cultural differences that you have to acknowledge. There are huge differences between English culture and American culture. And, I think coming in, people don’t realize that, so getting to that point was difficult. The other thing was developing a strong team who share your beliefs and help you overcome those challenges. At the end of the day, if you have a strong team that share your beliefs you can do anything. Finding good people was a way to overcome those challenges. The second success was working with my partner Khai. We wanted to be the number one recognized creative agency in the world. We weren’t anywhere near that 5 years ago. We were well down the pecking order. And, the best litmus test for this is the Cannes Awards - they are the truly objective ones, the Oscars if you like. So we went up step by step and told ourselves we wanted to be number one in 5 years, but we actually got to be number one in three years and in two subsequent years we were also number one. People were a bit astonished that we got the gold first time around - you faked your way in, people thought. But, then, we did it a couple more of times. So that’s our biggest achievement. What is your advice to one entering the Ad industry/an entrepreneur? To someone entering the Advertising field, my advice is to listen, listen, listen. I think quite often in our business you feel you have to talk, talk, talk. In fact, it’s the exact opposite. You have to show humility and very patiently absorb as much as you possibly can. Be very sure of your ground before you start to opine on stuff. The more you listen, the more you understand the creative people and how they function, the client and how they function. In my mind, listening skills are the most important skills to acquire. They are really not taught in university, and they are certainly not taught by people training you for interviews because you are told to talk and to project yourself. You are not taught to listen at all. So getting yourself out of that mindset is really important. For entrepreneurs, I think at the end of the day you have to ask yourself what values you have. So, it’s important to have a proposition that’s competitive but aside from that, successful startups have to have some value system. Why am I here? What’s it like being here? So, to go from the germ of an idea to a complete idea to a profitable idea means building some kind of culture alongside it. Otherwise, it is just transactional entrepreneurship and it never sticks. I think partly by training them to listen (we have techniques for doing that, partly formal and partly informal) and then by talking to them. Recently I’ve been doing something called Miles’ Minutes. It’s a video short which I do every 3 to 4 weeks. I find someone wherever I am around the world and talk to them for about 5 minutes and then it goes out as an all staff video. So I can choose any topic, any individual, any theme, and as a result, people start to understand a lot more about the company. It’s not like a party political broadcast, our results this month are "X"; it’s a conversation about something. The last one I did was about employee branding - how can we improve how we brand ourselves to our employees and how can we leverage our brand, particularly how to improve ourselves digitally? The one before that was done in London with 6 young recent hires with just one year into the business. I asked them what the experience joining us was like and then turned the tables and they asked me questions. That had some very good results. So, people feel you are a face and a voice. If it were my last supper it would be English roast duck with red burgundy, perhaps a Pommard. At the moment I’m reading a very short novel called “A Month in the Country”.It’s by J.L. Carr and it’s a really wonderful book about someone after the First World War who finds themselves in a psychic crisis. It’s elegiac. It’s gentle and poetic. I would just combine the two and say that my role model has to be David Ogilvy. Because in business terms, he had a humanistic view of business and in personal terms he had a great belief in being an individual, a truth is really important in business and in life. The most interesting headline you’ve read this week? You saw it as you were coming in the office this morning, “Every delivery starts with a wish” for UPS. My current passion is I’m involved in a project to bring to the states an exact replica of the frigate that Lafayette came here in 1780 and I’m President of the American Friends of this organization. We are bringing Hermione up the coastline next summer from Virginia to Maine. What's next for Ogilvy & Mather? Honestly, more of the same, but I do think it comes back to this world of content that is dynamic that I was talking about. New ways of getting interesting content to people. By content, I mean, communication that you want to spend time with and share as opposed to communication that bombards you.